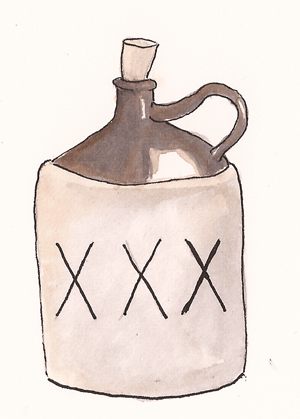 The moonshine is flowing again. 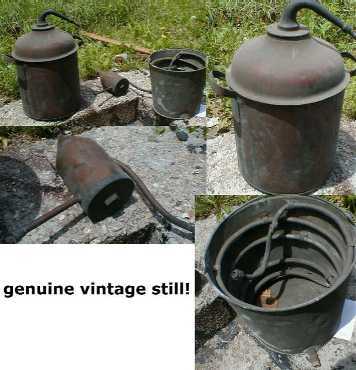 Sometime before my birth, during World War II, a gentleman named Lester had a moonshine still on the farm. I know it was during the war because Lester gave Mom a large amount of sugar so she could can her fruit. He, of course, got it on the black market, but Mom really appreciated it. 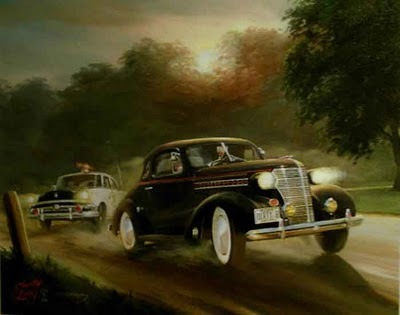 Mom and Dad were both honest and conscientious about obeying the law but being able to can the food needed for their family had precedent over wartime sugar rationing. 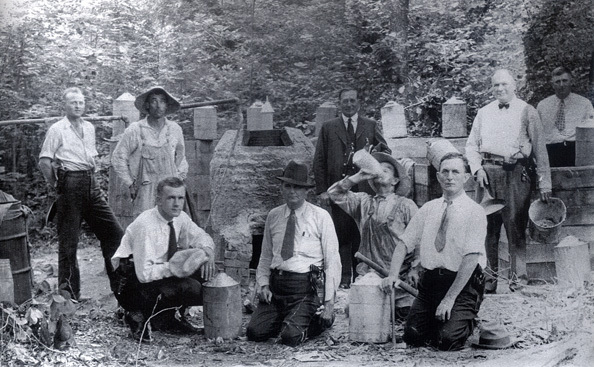 I believe the still was located near the head of Indian Run; that’s one of the few places on the farm with enough water to operate a still. I don’t think Dad ever worked the still, but he carried the product in a burlap bag to Valley Head each Saturday. Apricot brandy was made at least one time. 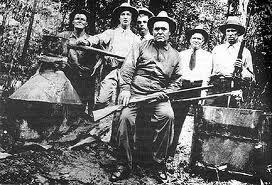 After they left, he told Dad that if he were ever stopped by the law while carrying the moonshine, he should just tell them who it belonged to. Dad said that he didn’t realize that Lester was so tight with the law. Lester then explained exactly how tight he was with the law. He reminded Dad that he had a new still that year, one more than twice as large as the one he had used earlier. 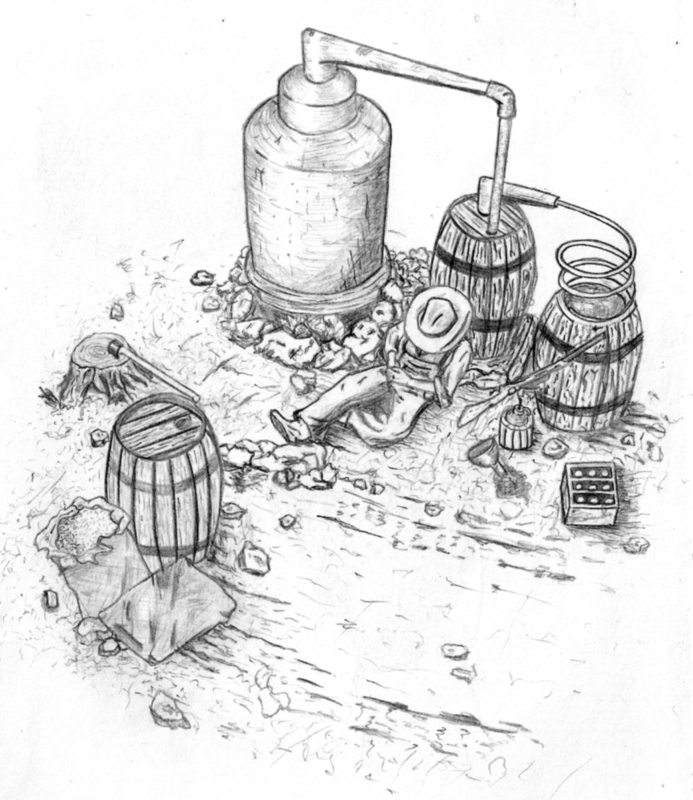 Lester had not had someone make the new still for him; he had exchanged the small one for a bigger one from the evidence room at the county court house. All confiscated stills were inventoried by number not by size. Like any successful businessman, he was simply trying to expand his business, aided and abetted by the members of the Randolph County Court! An interesting sidelight of this is that for many years my cousin was the Clerk of the Circuit Court in Randolph County. I’m not sure if he was in the courthouse when this happened, or if he was party to it if he was there. Many of them became rather wealthy from their “public service,” just as so many of our elected non-representatives do today. Released as a single in February 1959. Tennessee in the late 1950s. 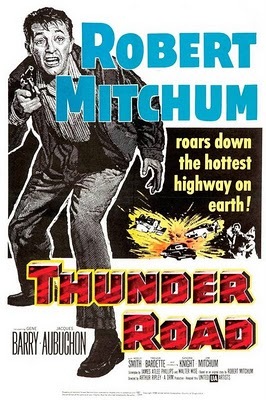 Robert Mitchum co-wrote the song with Don Raye. 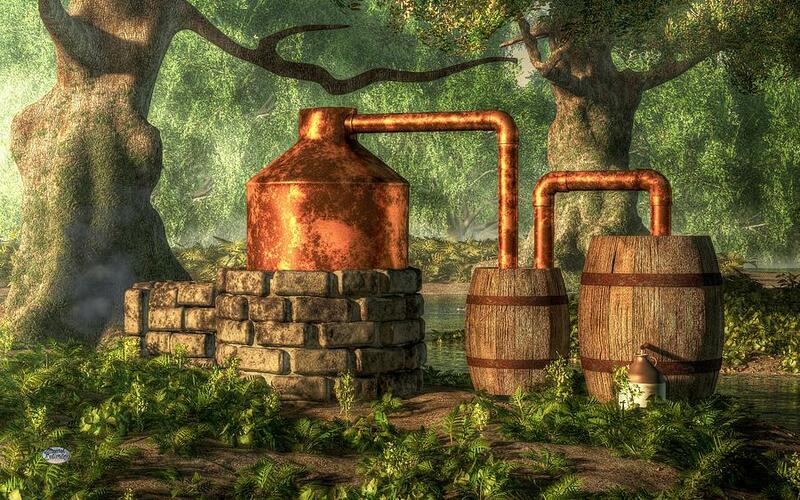 The name comes from the distillation process being done at night so as not to get caught distilling. He happens to meet a city slicker. if he would care to try some "shine". he just doesn't care for any. and tells him to drink. Of course, the city slicker drinks. "Now, hold the gun on me." "What's that under your pant's leg?" he's asked by one of the townsfolk. 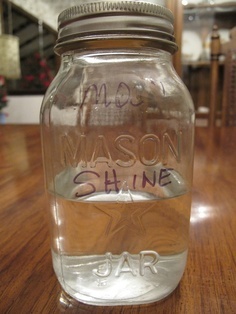 "That's my moonshine", he replies. "There's nothing better for a snake bite." "Well, what's that in the satchel?" said the good old boy. The terms "mountain dew" and "moonshine"
to the United States from Ireland. since it was first written in the 1920s. with some good ole mountain dew. 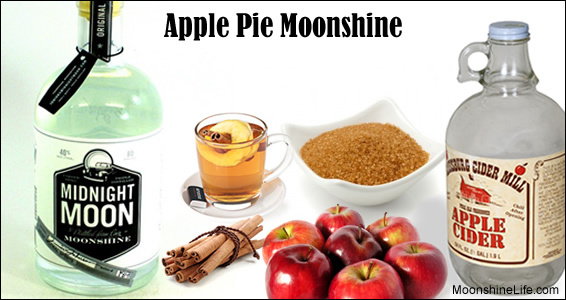 To make Apple Pie Moonshine at home, you obviously need Moonshine! 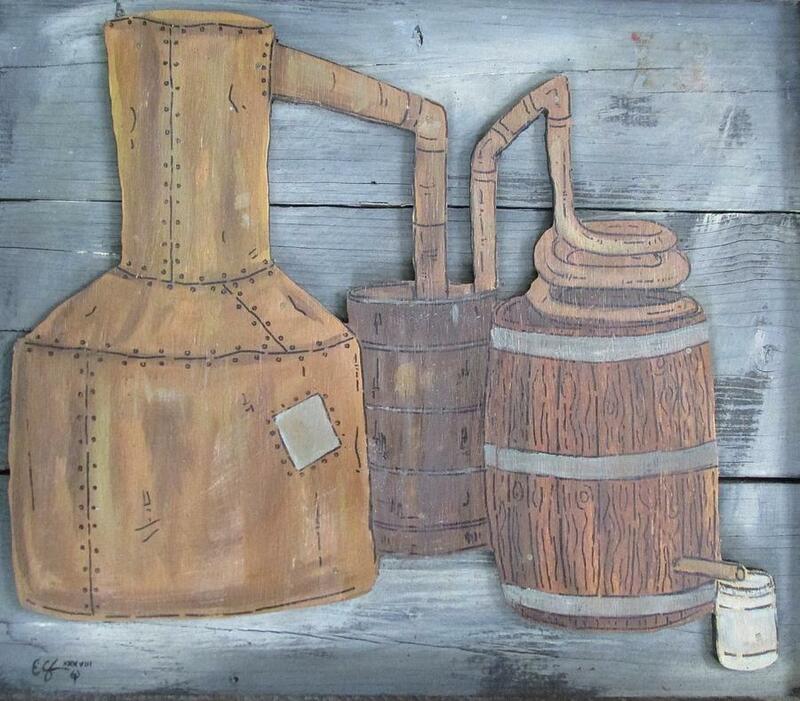 This could be purchased from a legal moonshine distiller, or you can make it yourself (Click here to learn how). Once the liquid cools to a luke-warm temperature, add the moonshine! Pour a glass and enjoy! 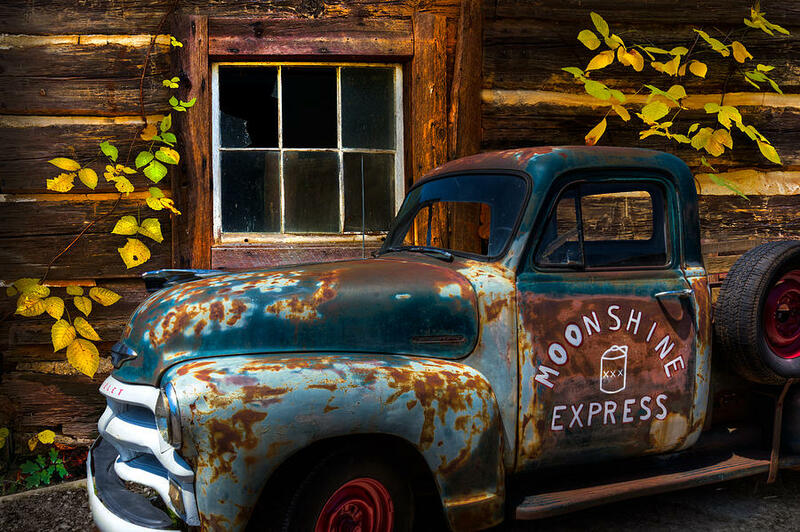 I’ve been a moonshiner goin’ on seventeen year. I spent all my money on whiskey and beer. And sell you a gallon for a two-dollar bill.